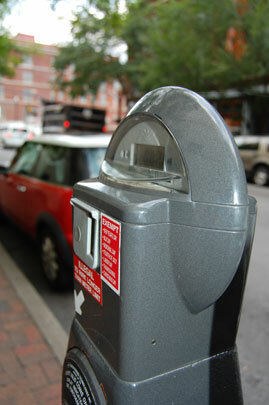 Looking for on-street parking in downtown Nashville? With approximately 1,000 metered parking spaces available, short-term visitors to downtown may find conveniently located, inexpensive on-street parking. 20 minutes of parking is $0.50. Meters must be paid Monday through Saturday from 8 am to 6 pm. Time limits (noted on the meter) range from 30 minutes to 2 hours. REMEMBER - FREE metered on-street parking is available after 6 pm Monday through Saturday and all day Sunday (plus New Year's Day, July 4th, Labor Day, Thanksgiving and Christmas Day). Parking Patrol Officers enforce the on-street parking regulations. Read all signs and notices before you park. To accommodate the morning and afternoon peak traffic periods, some metered spaces allow NO PARKING from 7 am to 8:30 am and 4 pm to 5:30 pm. During these hours, the parking lane is used as a moving traffic lane. Watch for signs and a notice on the meter. Your vehicle will be towed if you violate this restriction.